The poet Rumi once said, "let the beauty of what you love be what you do". Certina Packaging group's product catalogue is a clear example of how the trio of packaging companies truly love the beauty industry, providing a one-stop for customers, as the 3 companies which make up the group just don't stop! The companies provide a harmonious alliance that complement one another perfectly so that customers can benefit an enhanced product offering without having to source elsewhere and without compatibility issues. Comprising HK Cosmetic Packaging, Rebhan and Qualiform, Certina Packaging is most certainly assured of its position in the beauty packaging industry as the global boutique packaging leader. Individually, the companies have made a strong mark on the packaging industry over the years. As Certina Packaging, the company synergy is united in its creation of innovative packaging solutions with the traditional quality for which European manufacturers are globally recognized. What are the specific skills of Certina Packaging? Certina Packaging combines the expertise and experience of 3 well-known European packaging companies. All 3 companies benefit from individual proficiencies, and as a group, Certina Packaging is a major packaging player. CP's harmonization saves valuable time for brands seeking to get their products to market without cost-incurring delays, and the company provides extensive support throughout the entire working relationship. The company offers a one-stop-shop boutique service whereby customers are supported 100% through their journey with us from selecting designs and products through to a comprehensive after-sale service. CP's packaging decoration credentials are second to none, offering a comprehensive selection of techniques to provide personalized packs which stand out on the shelf as well as coordinating with branding. HK Cosmetic Packaging, or Hermann Koch as the company was formerly known, is based in Germany and its cosmetic and personal care plastic packaging is synonymous around the globe for its wide selection of products and over 100 years of experience innovating the market. HK is highly skilled in creating bespoke proposals that can unify the appropriate packaging material with a look that fits brand style and entices the consumer to reach out to it. Rebhan has 2 bases, one in Germany and the other in Poland. The company's principal focus is glass polymer packaging, high quality plastic packaging which mimics glass in many of its features. As the market leader in the production of glass polymer bottles, Rebhan has the largest worldwide range of standard bottles and complements, and is accomplished in the complex decoration of glass polymer. Rebhan works in the chemical and household markets as well as the beauty market. One of the key features of Rebhan is its extensive technical capability. Qualiform works in the luxury and masstige beauty markets principally and is one of the world's top producers for skin care, fragrance, make-up, sun care and para-pharmaceutical packaging. The team at Qualiform is highly cooperative and collaborative. This is reflected in the company's work, and something from which customers also reap benefit. Why was Certina Packaging formed? All 3 of the individual companies within Certina have a very similar vision. All 3 work in the masstige and prestige markets. All 3 are European, and with the combined skills of all 3, Certina Packaging is able to offer a one-stop boutique service to customers. There are many companies offering packaging around the globe, and many brands and other customers prefer to work with a single point of contact when sourcing new packaging. Working in conjunction with one another, we can offer that at Certina Packaging. Together we have an extensive offering of bottles, jars, closures and accessories in a variety of materials and styles. Each company has its own expertise but combined we can offer a far greater selection of products without compromising on anything. This is a benefit to us at CP as well as to brands. Does Certina Packaging produce custom packaging? Absolutely, yes. Custom packaging is offered in 2 different options. Firstly 100% customized. This is creating a brand new product for a client, then decorating it according to requirements to fit the brand. We also offer the option to create a package using a mix of CP products which can then be decorated. This option offers a faster time to market as the customer is choosing from products that we have in the catalogue and them customizing their look according to their own requirement. Custom packaging is a core feature of the business and important to prestige beauty companies in particular that want catwalk style for their products. Innovation is key within the packaging industry, and CP is always pioneering in the provision of new products to the market. How does CP help beauty brands reduce time-to-market? CP's products are available to view online 24 hours per day. The company benefits from an extensive product catalogue which is set up online in such a way that it allows customers to search through a variety of methods according to their preferred search requisite. All the data is presented in a clear manner which is easy to understand, along with a professional image of the product. In addition to the online catalogue, Certina Packaging also has special online tools available to help packaging buyers and brands save time. Certina's online tools have been specially conceived to support packaging development by reducing work load, and saving both time and costs. Within the online catalogue, users can request physical product sample and even see existing market references of that particular packaging. And, as well as the extensive product catalogue, with full specifications, there is also a mix-and-match 3D packaging feature whereby users can see which products match together and create a tailored packaging product on screen. How does CP's 3D tool benefit beauty companies? The benefit of the 3D packaging is that the user can select the appropriate components, adjust the colour and transparency, and even add custom artwork, to see a 3D model according to their own preferences. A 3D model can be created in under a minute, then saved and shared with colleagues. The Certina group of companies have always ensured to stay at the cutting edge of technology and trends since each company was founded, and this has been fundamental to the success of each company. Working together in the digital age, CP's 3D packaging ensures that the company —as a group— continues to lead the packaging crowd by being at the cutting edge of visual communication. The digital tool offering will be further enhanced so that Certina Packaging can offer even more tools to provide complete process support for the design of packaging, bettering engagement with both existing and new customers. Through interactment with the tool, customers get a better "feel" for their product before checking for compatibility and doing the appropriate package tests. It's not just the procurement team that benefit either. Brand managers can also get smart earlier on in the process of getting a new product or line to market. 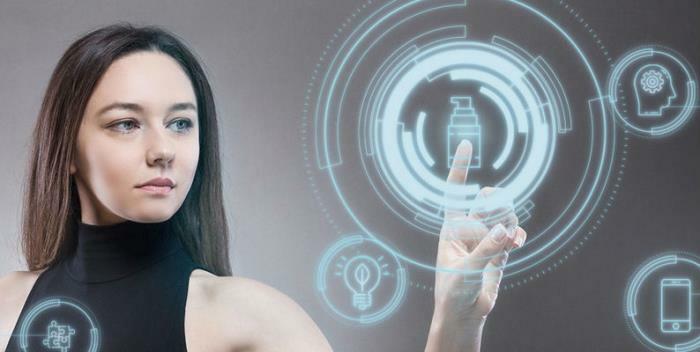 The next stage will be to implement augmented reality to view products in real-life situations. This is all part of the Certina Packaging experience — providing a true one-stop-shop for the beauty industry. 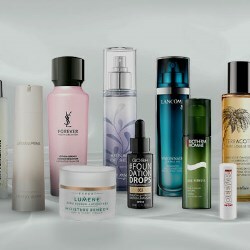 Often, personal care and beauty brands release complementary products in the same sort of bottle to ensure coherence with regard to a line's look. Qualiform has taken that idea and gone one step further by releasing the Modulo set of bottles. The bottles are comprised of a simple trio of bottles that fit together thanks to a clever series of tabs and slots to create a unified whole. Glass Polymer family continues to grow! Our new Glass Polymer design "New Square" looks both modern and charming. With 150ml content and neck finish 24/410 it can be used perfectly as packaging for high quality hand creams or liquid soaps. Print around the EDGE: now it's possible! New print capabilities are now an option thanks to our latest Glass Polymer standard bottle design: and it makes the packaging even more interesting! The outstanding, sporty, and elegant shape with two rounded corners is a real eye-catcher and is also extremely comfortable to hold. HK Cosmetic Packaging is internationally recognized for a number of reasons. One of our distinguishing features is our high level of technical expertise. Our engineering is always efficient and precise. This is evidenced in a number of our packaging lines. The Xenia jar is extremely cutting edge and designed to be a show-stopper. When tailoring the jar to the needs of an international hair care brand, the goal was to use excellent materials while providing consumers with a better experience.